I have two things on my mind today. Yesterday I had a conversation about appraisal waivers and “hybrid” appraisals, so I wanted to share my take. Then I have some new graphs to help tell the story of the foreclosure crisis. 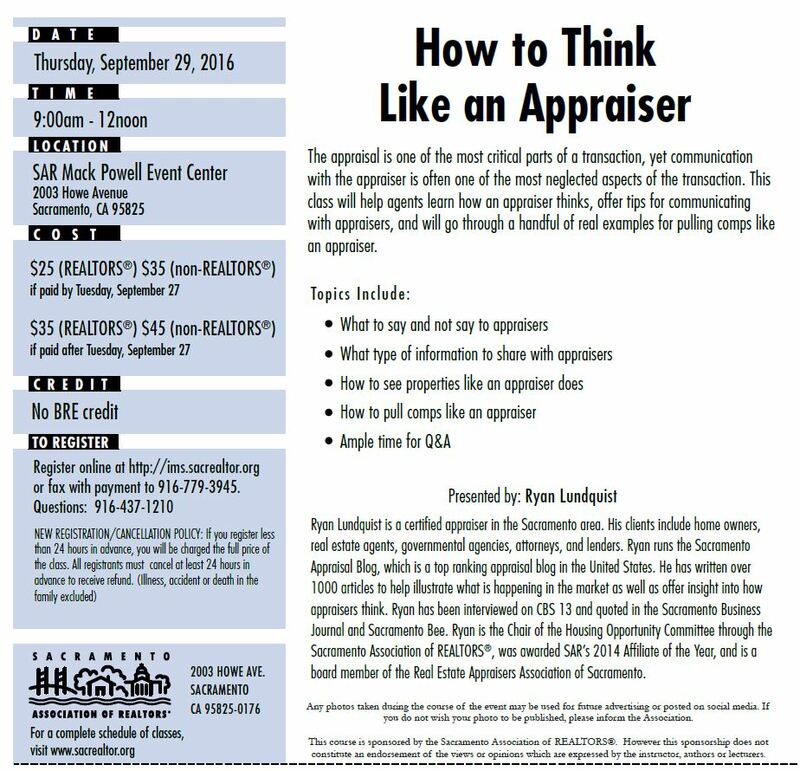 Here’s a Q&A with with Scott Short on appraisal waivers and “hybrid” appraisals. I get things changing for appraisers in light of big data, but diminishing the role appraisers play seems like a bad idea for the housing market. Watch here. If you want to just hear the “hybrid” part, it’s at 7:12. By the way, a local appraiser named Barry Cleverdon had an accident a few weeks ago and is currently in a coma. Here is Barry’s GoFundMe. 1) Healing: The foreclosure rate in the United States is way down. I would guess most markets have essentially healed. In Sacramento County ten years ago 84% of sales were distressed and now that number is less than 2% when considering both short sales and bank-owned sales (REOs). 2) Not the same in every neighborhood: When it comes to distressed sales, some areas and price ranges did better than others as you can see below. This reminds us the market doesn’t experience the same exact trend everywhere. 3) The power of equity: Areas with more equity and higher prices tended to fare better with the number of distressed sales. I know that’s what we’d expect to see, but it’s interesting to actually see it. It’s amazing how equity (and probably better jobs) can create opportunity and even help people weather a storm. 4) The promise of a new wave: Many have promised a new wave of foreclosures, but we just haven’t seen it. I hear things like, “Dude, there are so many Notice of Defaults right now.” That may be true, but not all of these NODs end up hitting the market. Or if they do go into foreclosure they may likely be sold on the court steps before MLS. Two weeks ago I asked friends on LinkedIn which areas they wanted to see, and that’s how this post was born. I didn’t get to everywhere, but I got to most areas. MAKE GRAPHS LIKE THIS: If you want to know how to make a graph like this, here’s a tutorial for how to put a few different layers of data on one graph. Questions: What do you think of appraisal waivers and “hybrid” appraisals? What stands out to you most in the images above?